Prototype: German Federal Railroad (DB) class 44 heavy freight locomotive. Version with Witte smoke deflectors and authentic weathering. Model: The locomotive has an mfx digital decoder and extensive sound functions. It also has controlled high-efficiency propulsion. 5 axles powered. Traction tires. The locomotive has an articulated frame that enables it to negotiate sharp curves. It also has a Telex coupler on the tender. A smoke generator is included. The headlights will work in conventional operation and can be digitally controlled. There is an adjustable close coupling between the locomotive and tender. Length over the buffers 26.0/26.2 cm / 10-1/4"/10-5/16". Telex coupler on the tender. This model is being produced in a one-time series only for the Marklin Dealer Initiative (MHI). This is the second locomotive in a series of five locomotives with authentic weathering. 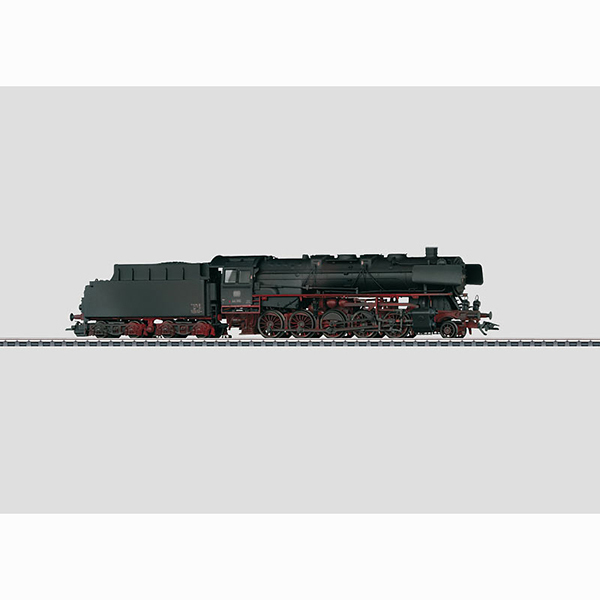 A tank car set to go with this steam freight locomotive can be found under item number 46533 in the Marklin H0 assortment.